In June I decided my son and I needed a new friend. 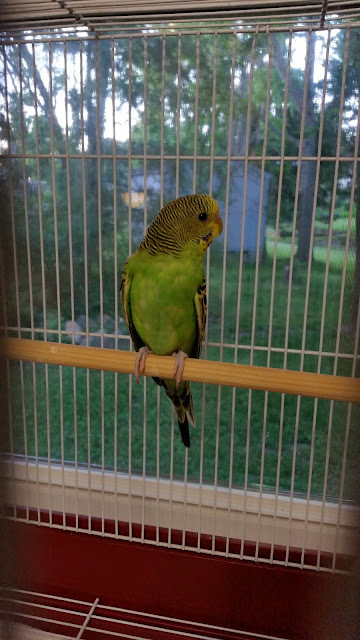 I've owned birds for much of my life (cockatiels, parakeets, and finches), but my husband was adamantly opposed to them. Too noisy, too messy, etc., etc. But since my choice in pets is no longer his business, I brought Verdi into our family. Hello, Verdi!! Pretty Bird! What a pretty bird!